We have a very complicated story to tell. It becomes an even more complex one to tell when speaking to a general audience. While we do provide an enterprise solution, the scope of our platform goes beyond the world of business — to game theory economics, complex distributed database systems, and advanced cryptography. We spend a lot of time thinking about how we should explain what Aergo is all about, and where it fits in the market. Just last Friday, I attended the Distributed Economy 2019 conference to do just that: pitch Aergo to an audience of crypto lovers, venture capitalists, and industry personnel. Here’s 419 #2. This is the presentation I gave explaining what the hypothesis is for Aergo at Deconomy. In 1991, a single event occurred that triggered a series of associated technological developments that would change the world. Collectively, these subsequent developments have given us the world wide web, global internet access, advanced mobile phones, social media, and cloud computing. 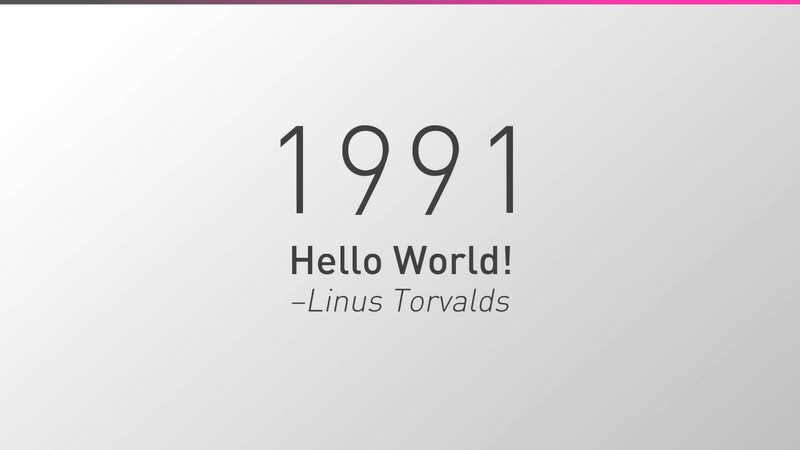 It was the announcement by Linus Torvalds from Finland that GNU/Linux had arrived. It was an operating system that would replace Unix and become the de-facto platform for running most of the world’s software applications. These events caused the unbundling of applications, middleware, operating systems, and underlying IT hardware — challenging the status quo set by existing large IT vendors like IBM, HP, and Dell. They allowed businesses to use best of breed technologies and solutions in hybrid — not locked-in — technology stacks. And now, with a powerful mix of open-source, cloud computing, and DLT: they can run these in a distributed yet secure and robust architecture. It wasn’t just Linux though. A cascade of other open-source-based technologies would be unleashed: Bind, DNS, the Apache web server, the Spring programming language and then virtualization. Suddenly, it was possible to unbundle applications and the operating system they run on from the underlying IT computing architecture. 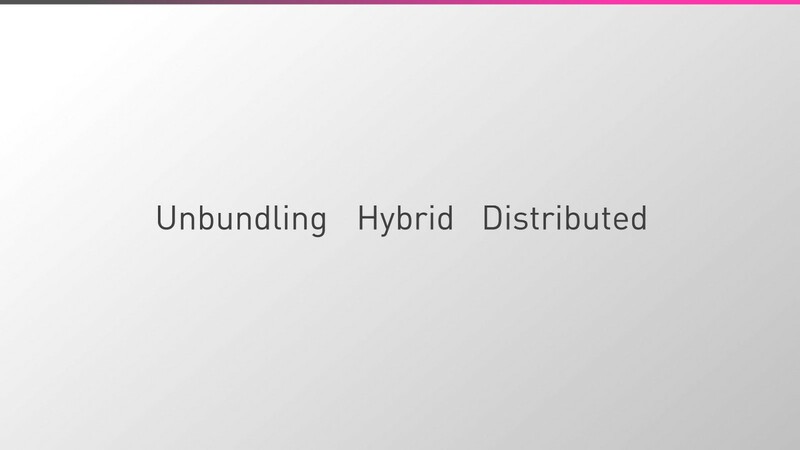 This unbundling attacked the status quo of many large traditional IT vendors such as Sun Microsystems, HP, IBM, and Microsoft. It unlocked the real potential of building innovative applications, services, and ecosystems (whether they are social media ecosystems, game platforms or business ecosystems) built on top of an open architecture. But it was a little-known event in 1998 that accelerated the adoption of Linux and triggered a cascade of customer adoption. It was the announcement that Oracle would support and run its database technologies on Linux. A database is central to almost every business as this is where most records and value is recorded for companies. Oracle’s announcement opened the eyes of millions of customers around the world to consider this new operating platform. The rest is history. Today, around 40% of business IT runs on Linux systems. In the public internet and cloud, the figure is closer to a staggering 90%. I know these facts because for the past 30 years I worked for many of the companies that transformed the technology world — supporting giants like Intel, AMD and Arm — working for Red Hat, Novell and VMWare. I also built entirely new hybrid cloud-based businesses on open architectures like Linux and Hadoop for one of the world’s largest telecommunications companies (Deutsche Telekom of Germany). For three decades I have worked closely with developers, and IT teams to figure out how to adopt and embrace new technologies within their business. Business is about delivering value, delighting customers, and extracting some form of economic benefit along the way. Replacing existing systems with entirely new technologies is costly. This is the reason why almost all modern systems have to be connected, integrated, and built around existing IT systems. The vast majority of businesses run on hybrid architectures. Within the next five years, 75% of all companies connected to the internet will likely be using a hybrid cloud-based computing platform. Today, over 50% of businesses already use some form of cloud for their IT needs. Now back to blockchain. One year ago there were religious wars, binary predictions, and big-bet investments being made in two opposing camps — either “the future will only be built on a truly distributed public blockchain” — or “it is only possible to run on private, permissioned blockchains to achieve the performance, governance, and control needed for business”. They say history does not repeat itself, but in technology, it rhymes. The future, much like the past, will be hybrid. For that, you can be sure. Forget about religious private versus public battles. Business is about delivering value — at the lowest cost possible. Business will continue to happen on hybrid systems for many years to come. Just like Oracle in 1998, twenty years later, in 2018: major IT vendors endorse blockchain as a future platform for services: including IBM, Microsoft, Google, Amazon, Huawei — even Facebook, Twitter, Tencent, Alibaba, and Paypal have entered the fray. Customers around the world are now ready to understand and use distributed ledger-based technologies like blockchain for their business. Now is the opportunity for blockchain to transform the future of business. The next 10–15 years will see amazing new applications, services, and trust-based ecosystems form around a hybrid architecture; built around an increasingly decentralized blockchain fabric. These will take advantage of new disruptive technologies that are just around the corner in terms of adoption: 5G, IoT, Machine Learning/AI, trusted computing, autonomous “things” and probably (sooner rather than later) quantum computing. The future of IT is hybrid. The future of business will also be hybrid AND be distributed. The World Economic Forum (WEF) is predicting that 10% of the worlds GDP will run on blockchain based systems within the next 5–7 years. For example, blockchain will dramatically boost trade finance across the world: generating a whopping one trillion US dollars in international trade finance. One of the world’s largest technology companies recently used the above diagram to project their view of this future to an audience of 30,000 developers. It’s a great slide! We are well and truly into the era of the intelligent technology world. 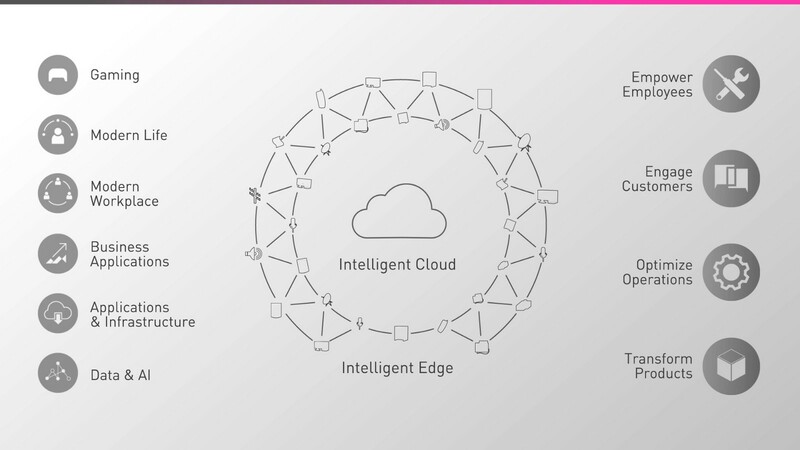 This includes an intelligent hybrid and distributed cloud providing services to users, businesses, and even devices in what is called the intelligent edge. Computing is getting embedded in the real world in almost every — place whether it be home, work, a stadium, a hospital, the oil or global financial services market. All of these industries are being transformed by digital technology and computing. The entire world and this computing power are being used to generate that next generation of AI-driven business and business ecosystems. Multi-device experiences that are much more data, trust and of course people centric. Companies need to embrace new tech innovation, but it means they have got to build this into their existing systems. This is not an easy task. The combination of intelligent cloud surrounded and enriched by intelligent “things” is already starting to transform the way we work, play and interact with each other — whether it’s in a B2B or B2C or B2B2X business ecosystem context. However, as has been the case for the past forty years, large IT vendors tend to “bend” the future — so it relies and is dependent on prior technologies. Some call this vendor lock-in. What these same vendors don’t say — is that the future world they portray could be even more exciting and transformative. 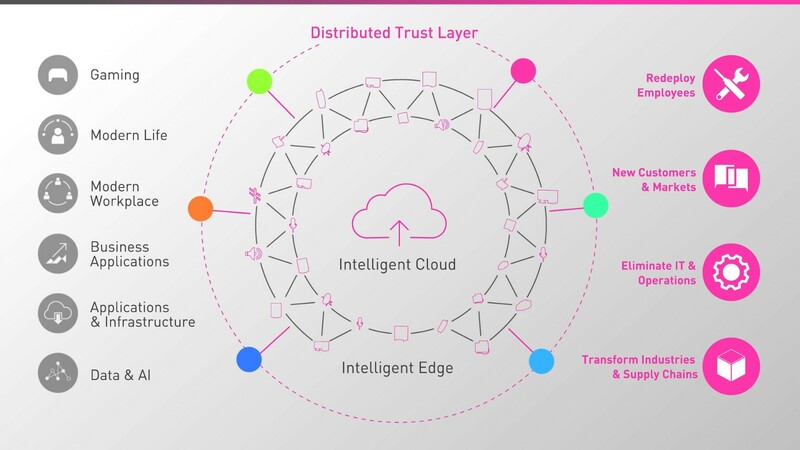 When you combine intelligent cloud, a network of intelligent things, and an open source-based model — all with a distributed architecture built on blockchain — the future looks even brighter. This is the power of blockchain. Existing IT vendors cannot and will not tell you the full story. Despite what many have reported, this future is already possible today in many, many industries. Businesses need to interact with each other. Especially in industries such as manufacturing, supply chain, and distribution. For many years, businesses have used technology and IT to run their operations. However, the technologies they used was complex and split into various layers. Applications and services need to perform specific functions that are codified into business logic. This all works on data that is processed to generate specific results (i.e., value). Finally, the resulting actions need to communicate with a business partner who will have to perform the exact tasks (in reverse) to receive the resulting service. During the eighties, these technology stacks were built on proprietary solutions — often delivered by a single vendor, hence the long term vendor lock-in of the past decades. It is not unheard of that many businesses around the world spend around 75% of their IT spend on the underlying technology stack. Only 25% is being spent on the application or service that the business (or end customer) uses. At the turn of the century, the internet enabled businesses across the world to talk and work with each other using a single communication protocol: the world-wide-web. This removed one of the significant cost barriers to the underlying technology stack. It was a colossal evolution — but not a revolution (in terms of cost impact) to these firms. Data was recorded and stored in siloed warehouses within each organization. No sharing was possible, even if they wanted to make it happen. Today, with blockchain, businesses can share and automate much of their complex business logic with smart contracts: removing costs and removing labor that can be redeployed to more value-adding tasks for the firm. Data that was previously siloed and centralized can now be fully distributed and shared. Securely. All through anchoring and bridging this data and associated business transactions to a public blockchain, where all business transactions are hashed and stored in or shared through a tamper-proof ledger. This new paradigm not only shifts the balance of costs from 75% on IT and 25% on business application or service — allowing the majority of the value and innovation to be created at the application or service layer. Most importantly, it allows entirely new ways of building business ecosystems — and in fact industries — where trust is assured. Even when no trust is assumed. It is only blockchain that allows this. This is the future. And it’s possible today! But this vision can only truly be fulfilled if important customer concerns are addressed. All of them. When it comes to adopting core new technologies in business — there are a number of requirements that must be met — if these new solutions are going to move past simple proofs-of-concept (PoCs) and into production. The need to protect their brand, reputation, and intellectual property. Security is paramount: data needs to be controlled and carefully managed. The need for systems to be enterprise-grade (i.e., high performance) — but also to work with existing legacy systems to provide a better long-term return by leveraging prior spends on IT. Having bleeding edge systems that need highly skilled (and highly paid) engineers — may be acceptable in high-profit markets (like investment banking) — but over 95% of businesses need good enough solutions that are easy to understand. To maximize the usefulness and application of these systems — they need to be easy-to-program-and-manage. Lastly, instead of building close centralized systems — companies want to expand into new areas and new markets. This can only be achieved with more open systems. The Aergo platform and architecture addresses each one of these points directly. It supports a hybrid approach allowing the best of many worlds — whilst allowing companies to share data, trust, and operations — with many other firms. Unlike the many blockchains out there, Aergo is a completely battle-tested, clean room solution built from the ground up for business. The technology has been incubated in South Korea for five years with some of the region’s largest organizations (i.e., Samsung, Hyundai, Shinhan Bank). It has even been used by local government to provide secure and trusted e-voting — as well as allowing the Korean Stock Exchange (KRX) to build new innovative financial instruments secured and anchored on a blockchain. Whilst it supports new and advanced programming languages — it also supports perhaps the world’s only simple to use SQL and Lua based blockchain programming framework. This potentially opens up blockchain to over 8 million SQL developers and the huge potential of many thousands of new applications they could build on Aergo. Deploying modern IT systems requires the ability to utilize lower-cost hybrid cloud solutions so that businesses can reduce costs — whilst also focusing more of their resources on the business (application) rather than the underlying IT. 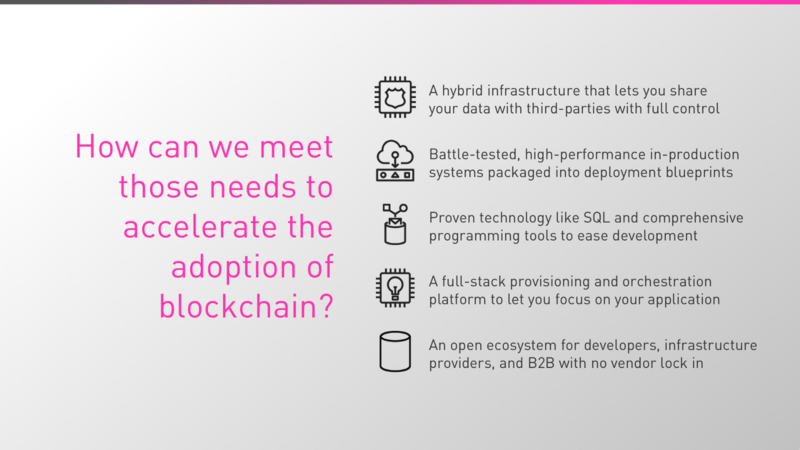 Aergo enables this by supporting a hybrid (public + private) blockchain model that leverages existing cloud solutions. Lastly, Aergo is an open source platform. Open to developers, to partners, system integrators and of course open to businesses. No central control. No rigid architecture and no vendor lock-in. 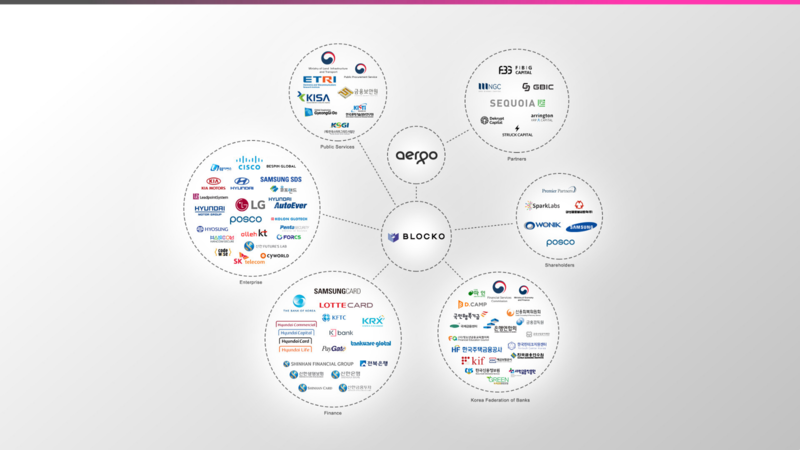 Built and curated with customers for customers — and built by developers, for developers: Aergo has been incubated for five years by Blocko — the leading blockchain provider in South Korea. Aergo is now being readied for mass market adoption — with easy to use tools, deployment blueprints, and of course applications. We don’t talk or write much — we would rather code and let our customers and partners do the talking. Here are a few that helped us to test, validate and implement many of the technologies that are now part of Aergo mainnet. You may recognize a few of them! We have more to share. In fact, much much more. Much will be revealed within seven days at our global main net launch — at the birthplace of Aergo at Seoul in South Korea; on April 17, at our mainnet launch event. Thank you to Linus Torvalds of Linux for showing us the way with Linux. 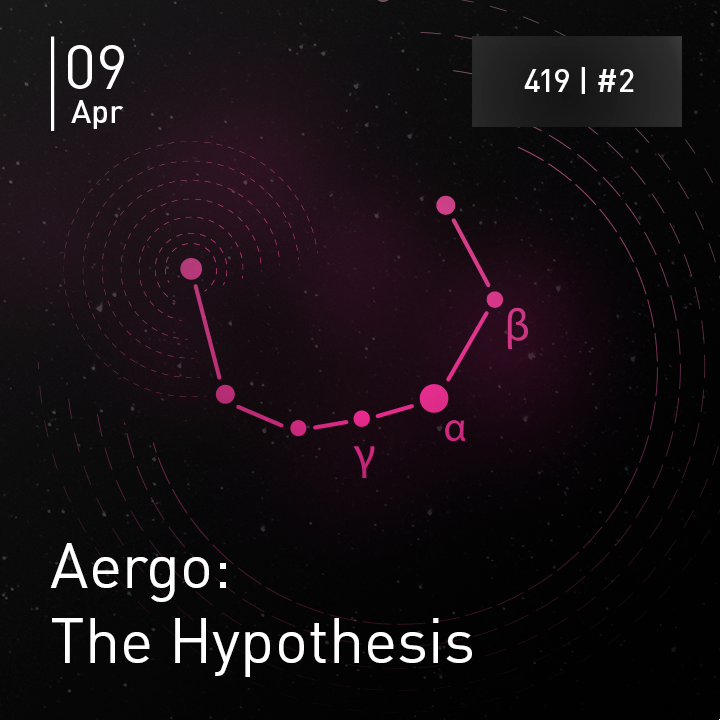 Aergo will take it from here! If you’d like to learn more about what we’ve got to share, we’d love to get in touch with you! Just reach out to us and we’ll make sure to make contact as soon as possible.